Zane Tessler was appointed as civilian director of the IIU in March, 2013. He was called to the Manitoba Bar in 1980 and spent the first 18 years of his legal career as a criminal defence lawyer. 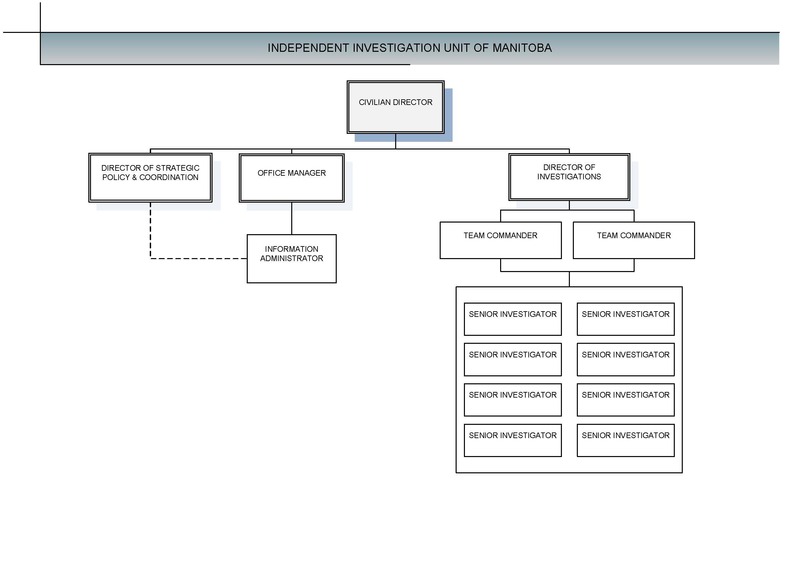 He joined the prosecutions services of Manitoba Justice in 1998 and has conducted prosecutions of serious and complex matters across the province. He has held the position of supervising senior Crown attorney responsible for the management and development of new prosecutors. He has taken a leading role in national and international working groups, developing policies to prevent wrongful convictions and he presents regularly on aspects of the law to police, lawyers and university students. The director of investigations is accountable to the civilian director for the overall leadership and supervision of the IIU team commander and investigators. The director of investigations plays a crucial and direct role in identifying all critical and emerging human resource, policy, investigative and risk-management issues. Further, under the direction of the civilian director, the director of investigations supports and manages the strategic goals of the IIU. The director of investigations participates in internal and external committees and teams, representing the IIU and the civilian director’s perspectives, as required. The team commander is responsible for managing investigations and commanding the IIU investigative team. On the civilian director’s authorization, the team commander deploys investigators to incidents where it appears the actions of a police officer may have caused a death, serious injury or prescribed offence. The team commander is on-call 24 hours a day, seven days a week, dispatching the IIU investigators. The team commander assesses investigative information and determines the appropriate level of response, priority and course of action. When an incident has been referred to the IIU by a police chief, and meets the mandate of the IIU, the team commander will assign a primary investigator and as many additional investigators as required. Reporting to the team commander of the IIU, investigators are responsible for investigating assigned incidents under The Police Services Act. Investigators assess investigational information received from police agencies, attend on scene, report incidents and determine an appropriate level of response. They also assess the scope and determine the methodology needed to carry out an efficient investigation. This may include the need to evaluate the demand for specialized assistance and support such as identification or other forensic services, surveillance and a determination of what evidence is required and who should be interviewed. Pursuant to The Independent Investigation Regulation, IIU investigators must have experience in major crime investigations or experience conducting and managing a wide range of complex investigations. The director of strategic policy and coordination (SPC) is responsible for managing, developing and implementing policies for the IIU with the objective of ensuring that all investigations conducted are professional, effective and consistent. The SPC will develop extensive strategic recommendations to support and enhance operational, investigative and administrative business and policy development under the authority of The Police Services Act as it relates to the mandate of the llU. The SPC is also responsible for the identification and analysis of solutions for business procedural/systems review, feasibility studies, cost benefit analysis, business solution evaluations, business requirements definition and detailed policy and procedure and specification documents. The office manager is responsible for administration of the IIU, purchasing, invoice payments, human resources, as well as providing dedicated support to the civilian director. The information administrator (IA) is responsible for coordinating, prioritizing, verifying and organizing documents and other information pertaining to an investigation. The IA ensures that compliance requirements have been met to ensure the integrity of the records management process. The IA is responsible for file management, document preparation, analysis and linking of information, scanning and exhibits. The IA organizes incoming data for entry into an electronic major case management application.